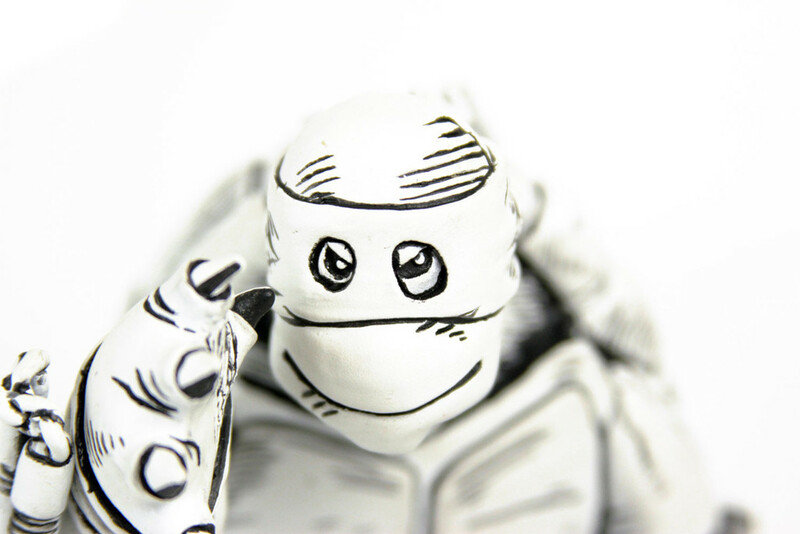 No, your eyes aren’t playing tricks on you. 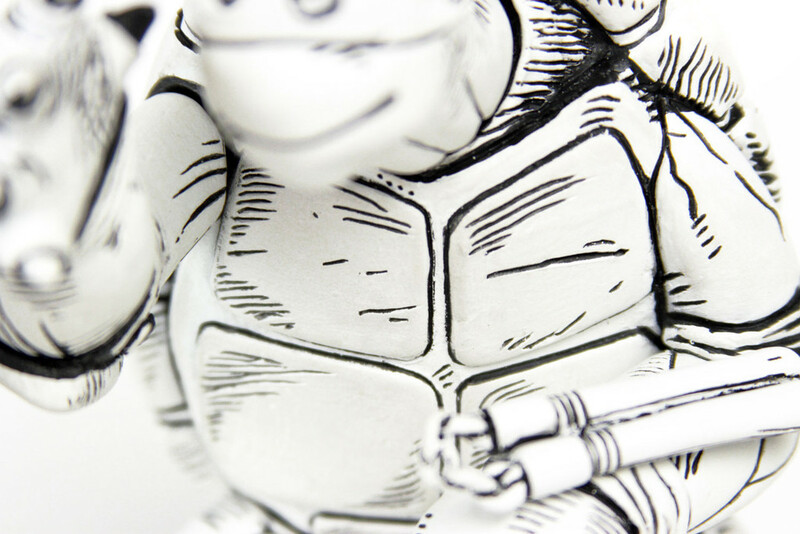 The Teenage Mutant Ninja Turtles The First Turtle Figure actually looks like a drawing, but that’s because it’s based on a drawing. 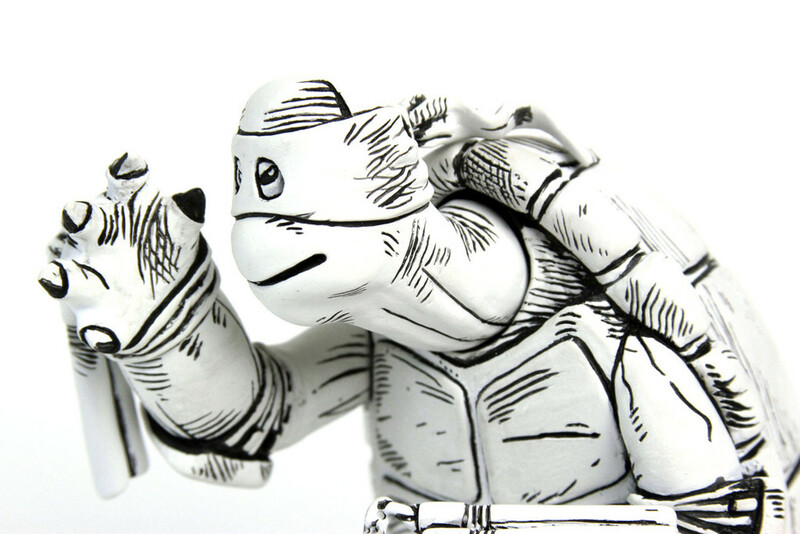 Once upon a time ago, two guys were kicking back and having a good time, talking about different things. 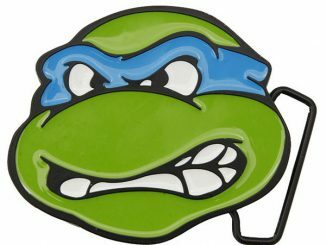 During the chat, they got onto the laughable subject of a turtle that could fight like a ninja. 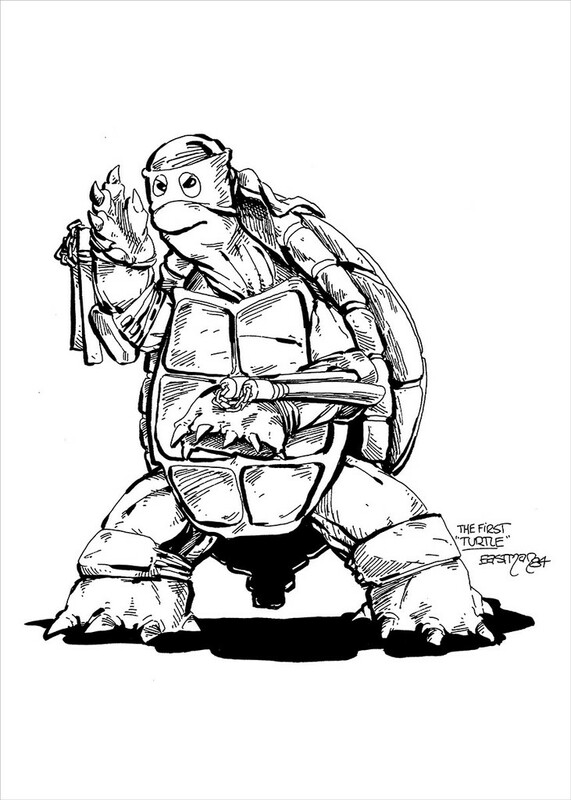 One of the guys even drew a doodle showing what their ninja turtle would look like. 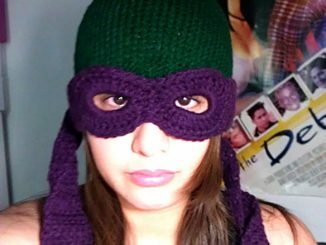 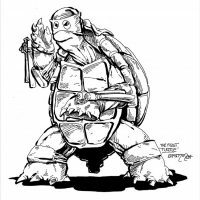 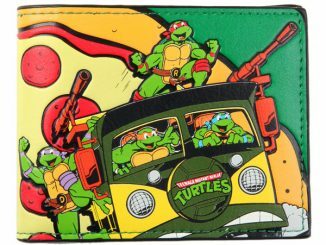 Those two men were Kevin Eastman and Peter Laird, and their crazy idea spawned comic books, cartoons, and movies. 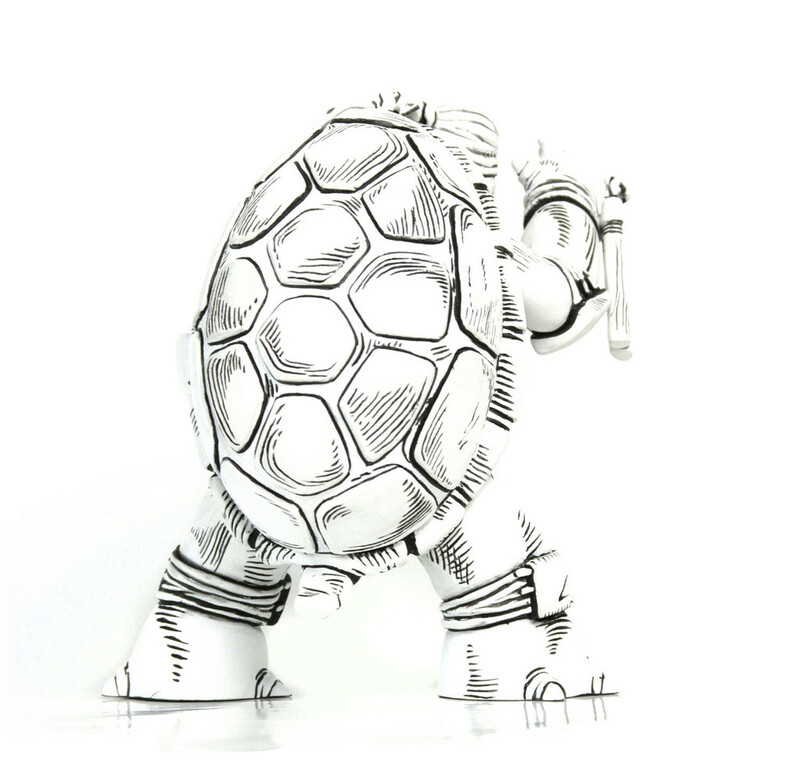 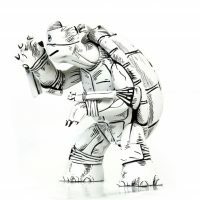 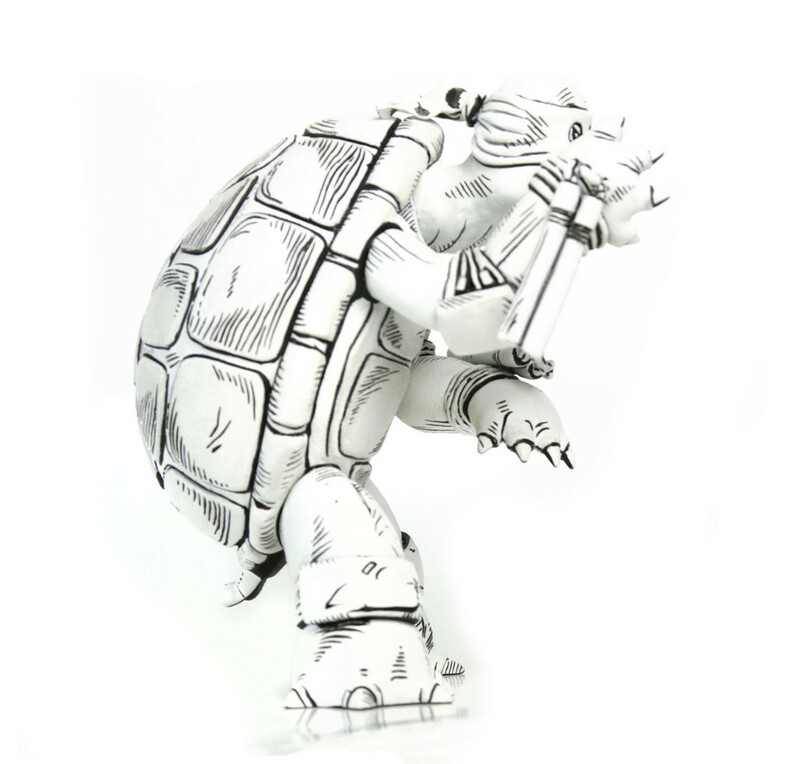 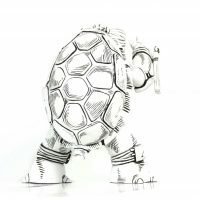 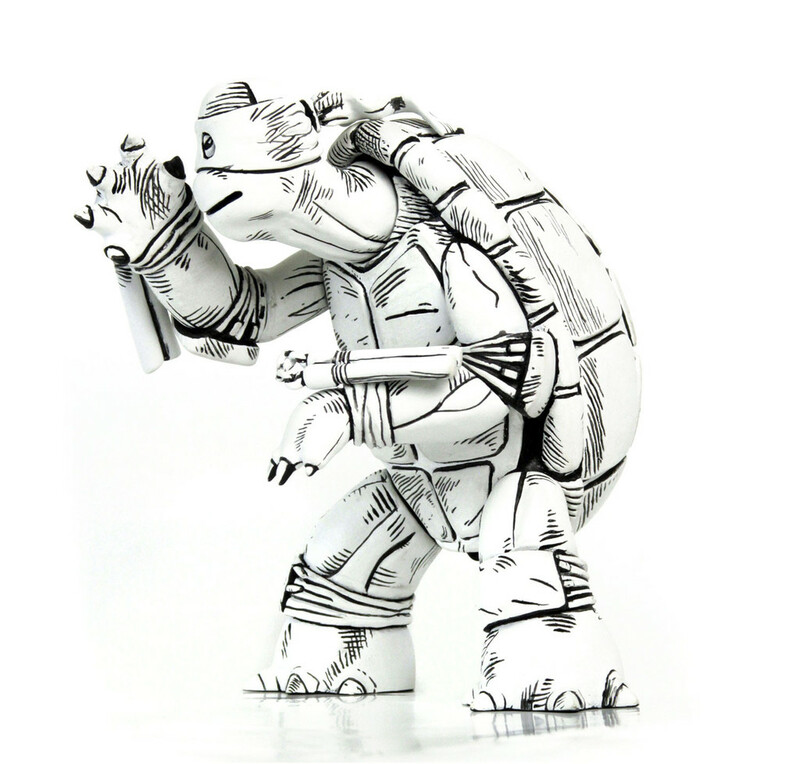 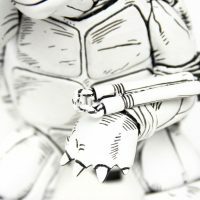 Standing nearly 7-inches-tall, the First Turtle lives up to its name, designed to look like that first little drawing that Eastman did on a napkin. 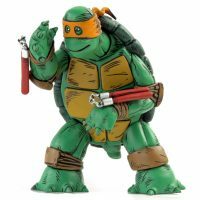 If you like the idea but prefer a little color, a green version of the figure is also available with either a red or orange mask. 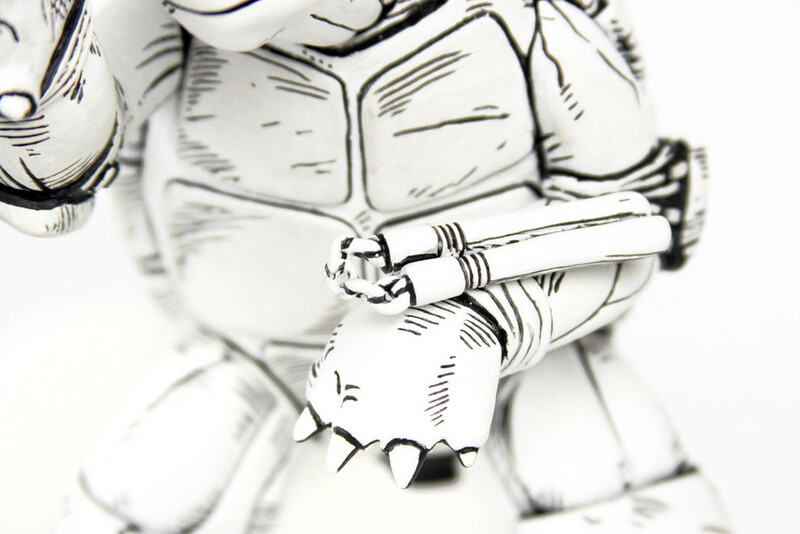 It has 5 points of articulation and illustration-accurate details. 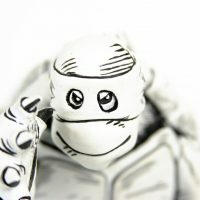 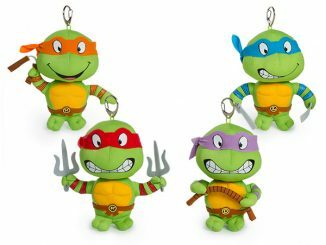 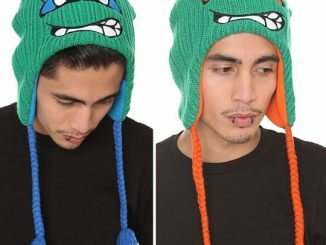 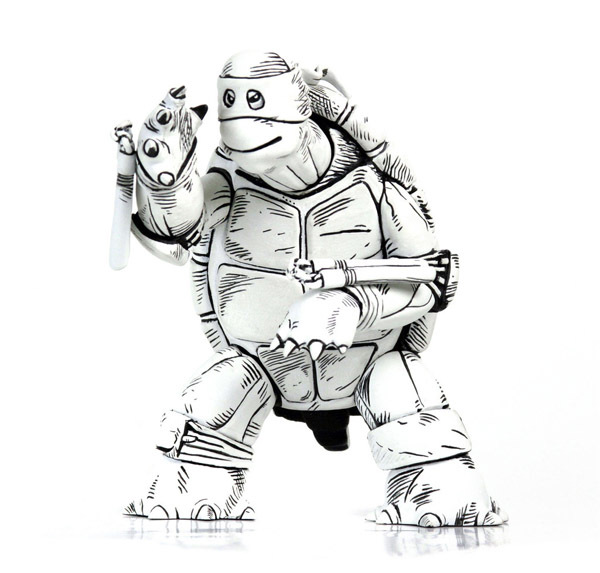 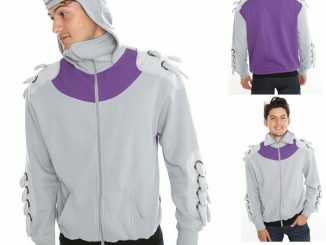 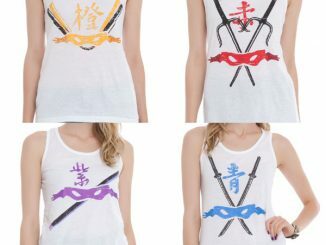 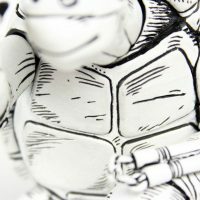 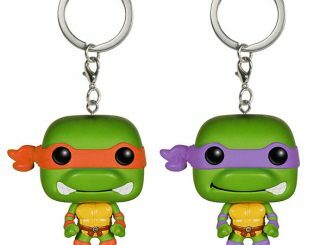 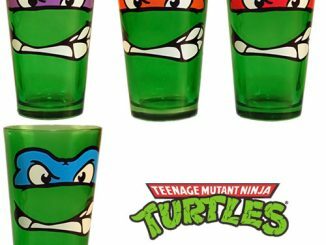 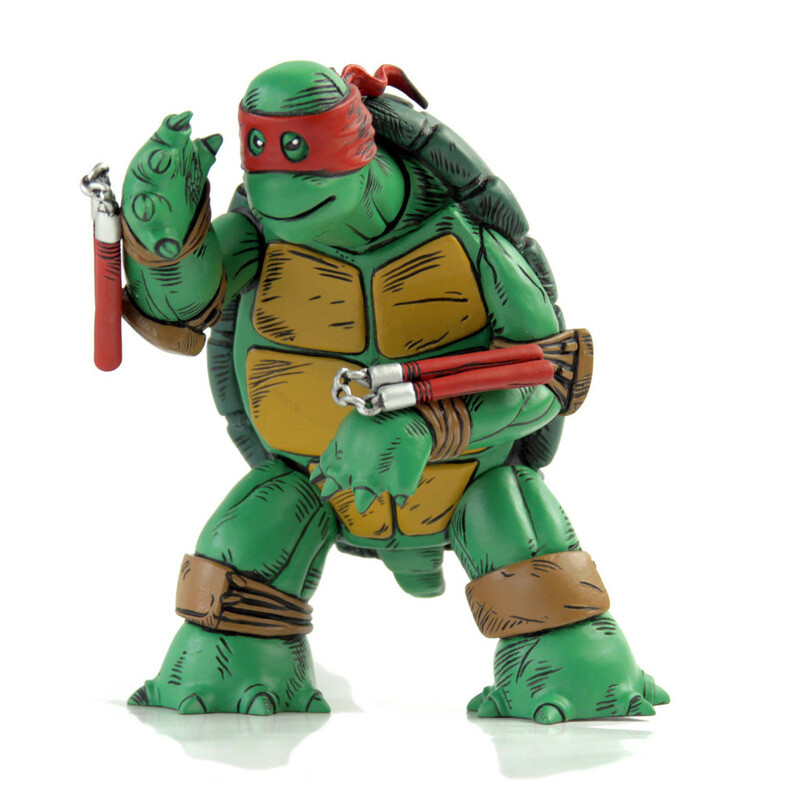 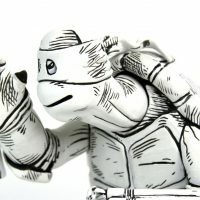 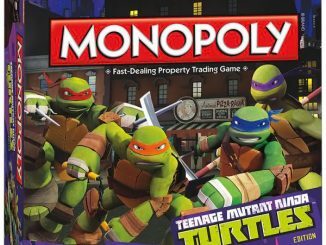 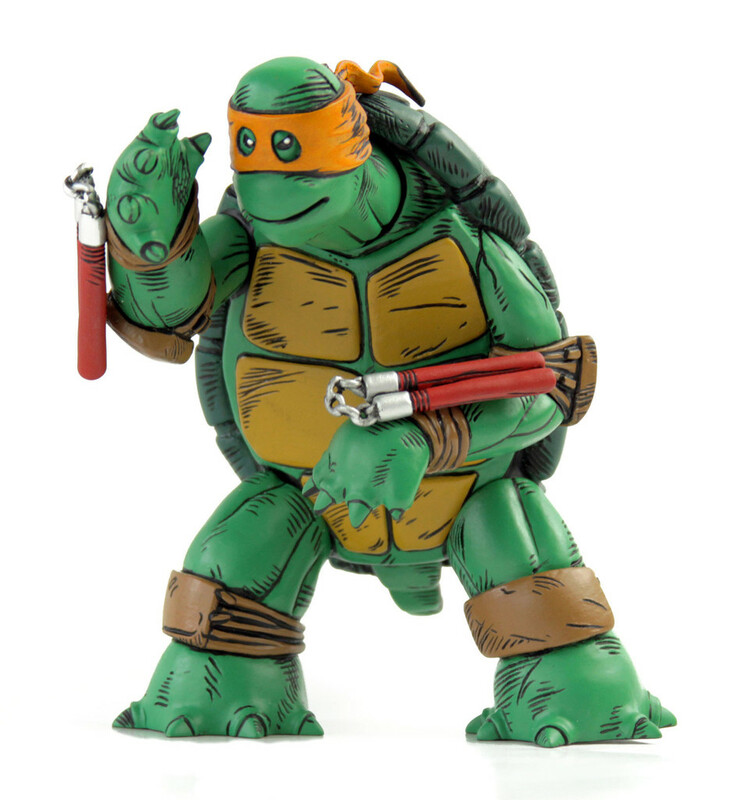 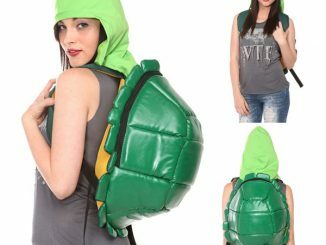 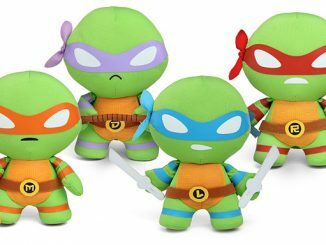 The Teenage Mutant Ninja Turtles The First Turtle Figure will be available during the 4th Quarter of 2015 but it can be pre-ordered now for $65 at mondotees.com. 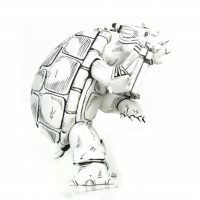 The First Turtle Figure (Color Version with Red Mask) and The First Turtle Figure (Color Version with Orange Mask) are also available for pre-order for $65.